Use Hourly Parking, we'll validate! 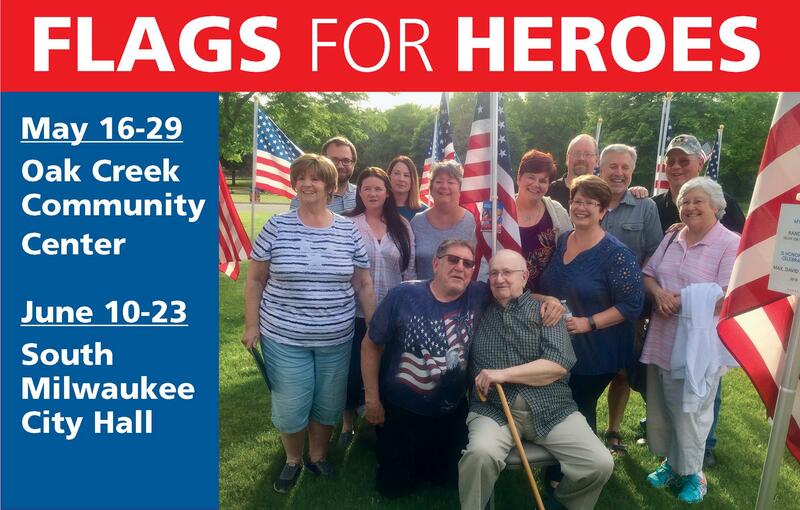 Once again American flags will fly at Oak Creek Community Center and South Milwaukee City Hall to salute our heroes. We hope you will take advantage of this opportunity to honor your personal hero. A highly visible way to recognize a hero with dignity and honor. A special remembrance for the person who has enough stuff in their life. A way to honor a hero while helping others in need. Download Oak Creek flag form here. Download South Milwaukee flag form here. 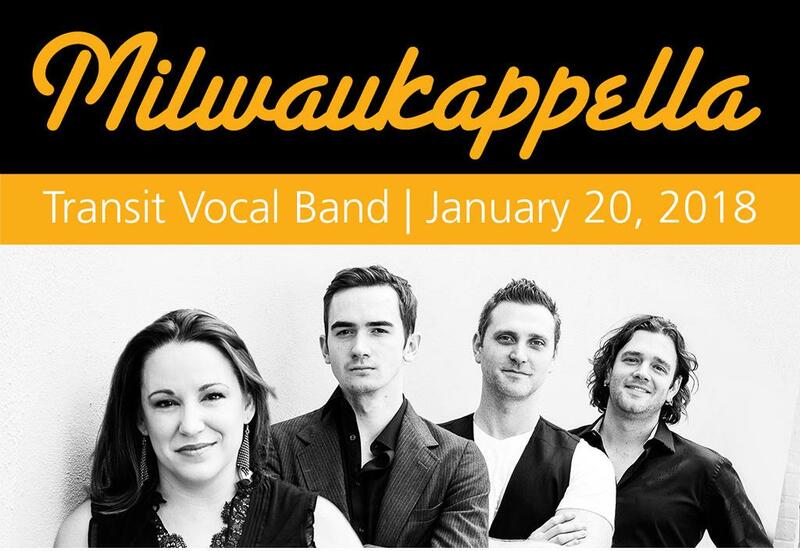 Milwaukappella is a one-day celebration of the human voice! A celebration of the art of a cappella singing! A Cappella means "in the style of the chapel." In the early days of the church musical instruments were banned from the chapel so all singing was done without accompaniment. Today, a cappella is a choice and a very popular one! Films, TV shows and popular music has embraced the sound and members of a cappella groups are pushing the boundaries of the genre. Milwaukappella is a both a showcase for a cappella performance but it is also a place for high school and college age a cappella singers to study and grow. Students at all skill levels are welcome whether they're in a group or all alone. All attendees will benefit from the knowledge and skills of the cadre of big-name, big-talent instructors brought in to teach. In addition, Milwaukappella headliners are chosen not only for their mad performance skills but for their ability and willingness to teach. Take this year's headline act; west-coast wonders HIVE. The five women who make up HIVE are dynamic, avant guard, award winning performers whose uncommon talents and fresh takes are delighting audiences from Salt Lake City to LA but every member of HIVE, to a woman, are educators! The Milwaukappella Workshop attendees will have the opportunity to study under these accomplished women who consider teaching central to their mission! For more information about the group, follow this link! For decades Rotarians, their family and friends have gathered on the Saturday before Thanksgiving to assemble and distribute Thanksgiving food baskets. Families and seniors in need are identified by social service agencies in South Milwaukee, Cudahy, St. Francis, Oak Creek and Franklin. With financial assistance from Meijers, our Rotary Club purchases enough food for each family to enjoy a complete Thanksgiving feast. Baskets are assembled at The Salvation Army and distributed by The Rotary Club of Mitchell Field, The Amigos de Milwaukee Rotary Club, and MATC’s CJSO (Criminal Justice Student Organization). The Rotary Club of Mitchell Field completed its second annual “Flags for Heroes” project in Oak Creek this year and its first in South Milwaukee. This multi-purpose event was designed to honor heroes—military and civilian, deceased and living—at a display of 200 American flags placed on the lawn of the Oak Creek Community Center over the Memorial Day weekend and 100 around South Milwaukee City Hall from Flag Day through the Fourth of July. Funds raised by these events help support RCMF’s charitable and community projects such as the Milwaukee Homeless Veterans Initiative and VetsNet, families in need, senior citizen organizations and college scholarships for area high school graduating seniors. Start the Packers party early with live music by Rohn Eric Larson​ and great food selections from All About Tacos​, Anytime Arepa​, Boba Dough​, The Cupcake-A-Rhee​, Firewise BBQ​, Taqueria La Guacamaya​, Marco Pollo​, The Rolling Cones​ and Timber’s - Double B’s BBQ Food Truck​. Bring your friends and wear your Packers gear because Green Bay plays the Chicago Bears that evening. 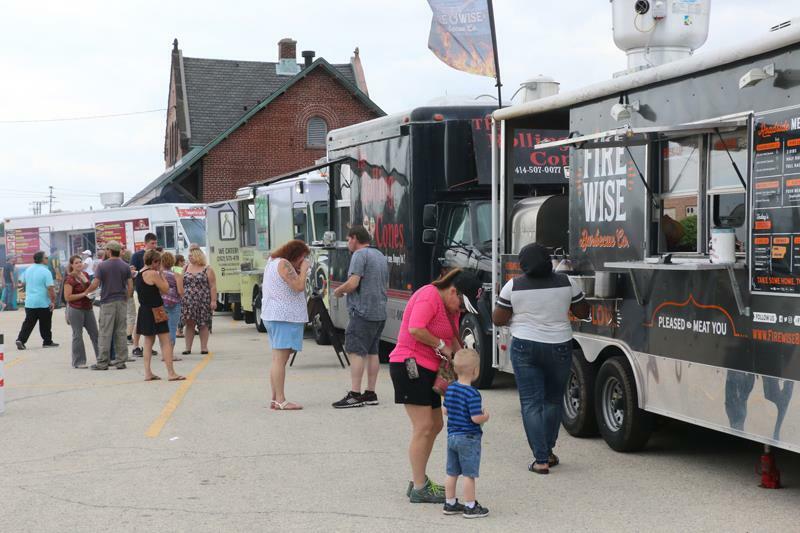 Find menus and more info at Rotary Club of Mitchell Field Food Truck Sunday​. The Rotary Club of Mitchell Field in Milwaukee just finished several days of helping at the Hunger Task Force Farm. 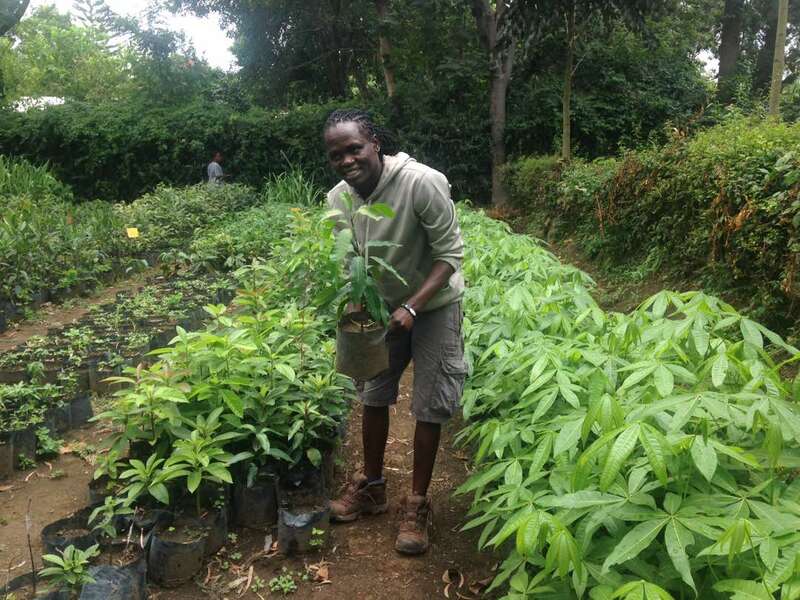 We did it all, from planting seeds to transplanting them into the ground to hoeing weeds (hard work!) because we believe in serving others and an acre of cabbage will feed 6,000 families. 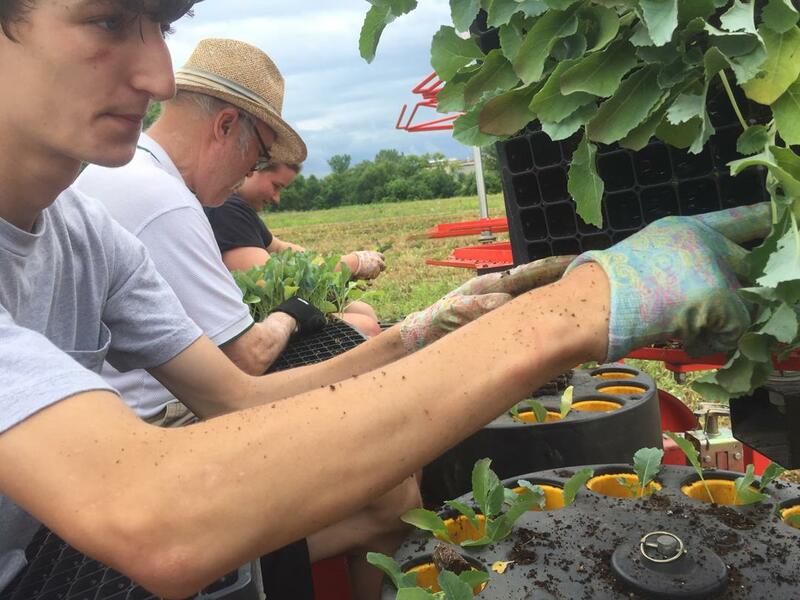 If you are interested in joining our merry group of "farmers" later this year (dates TBD by the growing season) for the harvest drop us an email at info@rcomf.org. Several times a year Rotarians meet at local non-profits to provide service. 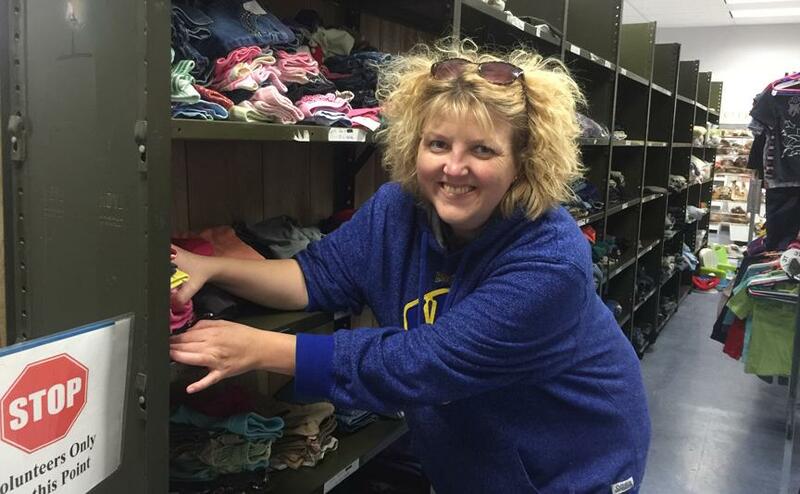 Past service projects have included changing from winter to summer clothes at Human Concerns's free store in South Milwaukee, practicing English with non-native speakers in MATC's ESL program located at Oak Creek, planting crops at the Hunger Task Force Farm in Franklin, and sorting food at the Salvation Army in Oak Creek. Like dancing to a live swing band? Refreshments? Lots of door prizes? On Sunday, April 29, 2018, the Rotary Club of Mitchell Field will hold its 37th annual "Step into Spring" Senior Prom at Oak Creek Community Center, 8580 S. Howell Avenue, Oak Creek. Tickets are $5 a person. They may be purchased at Oak Creek Community Center, 414-768-5840; Bay View Community Center, 414-482-1000; Grobschmidt Senior Center (S. Milw. ), 414-768-8045, and Kelly Senior Center (Cudahy), 414-481-9611. Music will be provided by the 14-piece Village Swing Band. So dust off your dancing shoes, dig out your best dancing duds and join us for a fun-filled afternoon. For more information, contact the Oak Creek Community Center or email us. Are you ready for an opportunity to enjoy an amazing a cappella performance, raise money and have fun? On Saturday, January 20, 2018, the Rotary Club of Mitchell Field will host its fourth annual Milwaukappella performance. The evening will feature Transit, the winner of the 2017 Open Mid-Atlantic Semifinal and a finalist in the 2017 International Championship of A Cappella. Proceeds from ticket sales will help fund community and international projects of The Rotary Club of Mitchell Field. ..before the curtains go up. 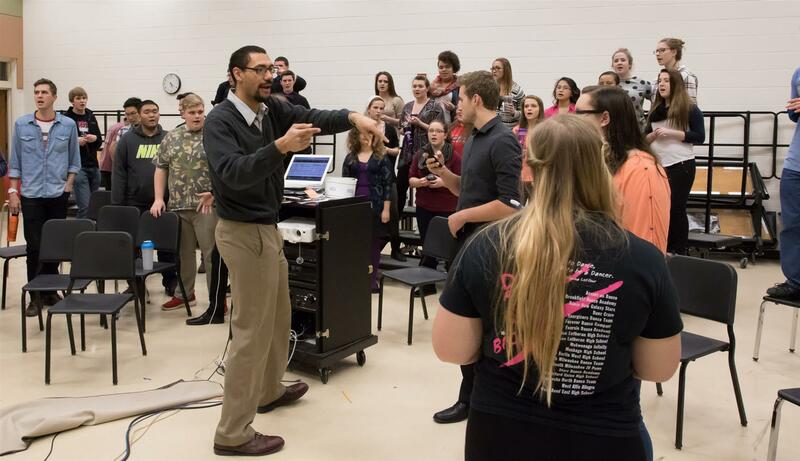 An important part of Milwaukappella is the full-day a cappella workshop for high school and college students. The student workshop fee includes lunch, dinner, the opportunity to open the evening show and a ticket to enjoy a premium seat for Transit’s performance. The workshop is open to all high school- and college-age a cappella singers, whether or not they’re currently in a vocal group. Sign up early! Attendance has increased each year and spots are limited. On World Polio Day, October 24, 2017, one of the newest members of the Rotary Club of Mitchell Field showed the club how a corporate member can involve and inspire a whole company to serve others through Rotary. Eder Flag’s COO Jodi Goglio, who joined the Rotary Club of Mitchell Field in July as its first corporate member, spoke with Eder Flag employees about Rotary’s polio eradication effort. 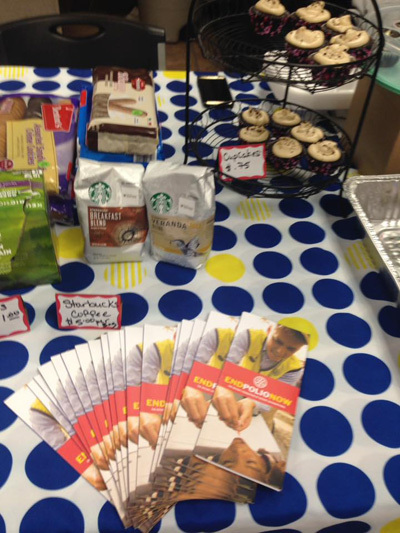 They jointly decided to hold a bake sale with all proceeds going to fight polio. Many donated the baked the goods that filled the tables in their lunchroom. Others purchased them. Everyone learned about Rotary and its effort to end polio. When the bake sale ended two hours later more than $460 had been raised. “I am incredibly proud of our team,” said Jodi.